At Nowak, Inc. we are dedicated to superior quality, competitive pricing, dependability, and customer satisfaction. The Nowak name has served the industry for three generations with pride. By constantly looking for ways to upgrade our operations we operate on the cutting edge of technology. 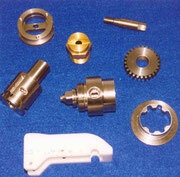 We offer more than just precision machine components. 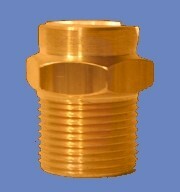 We offer our expertise in all phases of the machining process, including treatment and finish. Nowak, Inc. specializes in precision production work, although we are capable of handling short runs and prototype work. At Nowak, Inc. you don’t have to sacrifice quality for quantity. Some of the industries that we serve are the food packaging, medical, pharmaceutical, military, transportation, electronic and many more. Our facility listing will inform you of our machinery and equipment, as well as the materials we process. Nowak’s professional and dedicated staff will be glad to answer your inquiries and process your quotes and orders in a courteous and efficient manner. Nowak, Inc. expects and accepts only the highest standards of quality. We are a quality-oriented machining service, and inspection is an integral part of every job. We require sample inspections during each production run and quality assurance inspections following each process. All shipments require a final inspection. Testing equipment and tools are calibrated on a regular basis; all parts are degreased, deburred and free from scratches, chips, and debris. Our customers can depend on parts produced to their exact specifications (tolerances of plus or minus .0001 can be kept). Our production department employs highly-experienced machinist with diverse machining skills. Our office and management staff are friendly professionals who are always available and happy to be of service to our customers. Attention to detail is a given. Quality is our foothold in the machining industry. On-time deliveries are a high priority, and an effective scheduling system helps us ensure them. Expereince makes us aware and allows us to work through any variables that might impact the timeliness of a delivery. Nowak, Inc. trucks facilitate promptness, and are available for pick-up and delivery. We don't consider a job finished until it has been delivered and accepted by our customer. When ordering materials, the expediency of the supplier is taken into as much consideration as as the quality of their goods. Each and every order is treated with the same care and diligence. All parts are packaged to protect their finishes and quality. Extra packaging material is often used to achieve this. When necessary, we will use special handling to ensure the the protection of each piece. We believe that price is a primary factor in creating and maintaining a customer base and continuing growth. We do our homework during the quoting process to assure the best prices for materials and delivery. Experience and efficiency are key factors in keeping our prices competetive and fair. We require mill test reports for all material used in our facility. Experience and extensive knowledge allow us to foresee and forestall any ambiguous or potentially troublesome situations in our product department. We guarantee a finished product made to specifications, and we are not afraid to seek solutions should a problem arise. Nowak is located in Wharton, in the very center of the Rt. 80, Rt. 46, and Rt. 15 corridor in north Jersey. Our shop is accesible and easy-to-find for customers, and convenient for our delivery trucks. The Nowak name has served the machining industry for three generations. The experience and expertise we've garnered over the years is our most invaluable tool. From quotation to delievery, ingenuity and accountability are our compass. We strive for competive pricing for our material and manufacturing supplies, and only purchase from suppliers that have proven their dependability in both quality and delivery. By associating with those with a similar business philosophy and work ethic, we find a harmony and flow of work and success that we are pleased to pass on to our customers.